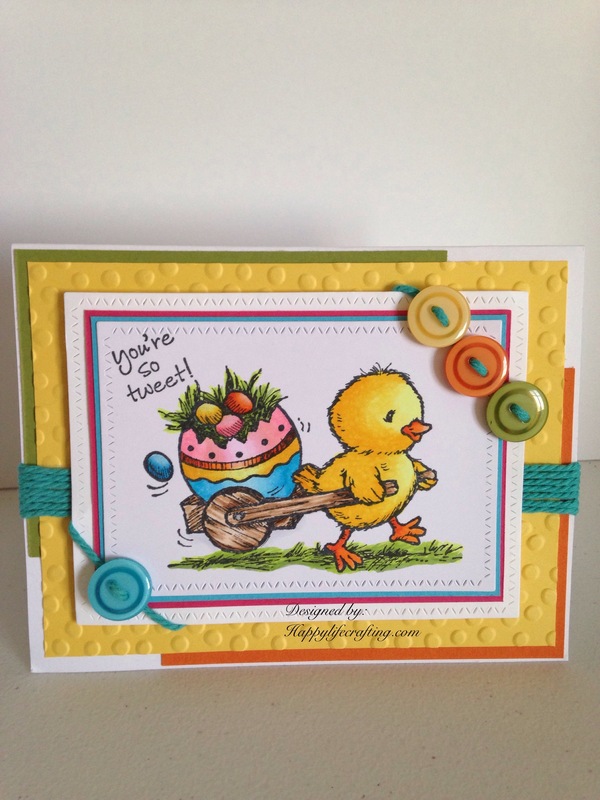 I am so excited about the sneak peek items from Stampin up. I made a few cards today ……it’s always relaxing and enjoyable creating cards. The featured card on today’s blog Is a combination of current product and upcoming release. I know many people are disappointed that the Blendabilities are no longer available, I too feel disappointed…… But when plan A doesn’t work out, you move on to plan B.
Stampin up has some beautiful water color images being released on June 2nd. Not only can you water color them, but you can alcohol color them…..I heard a tip at the last Stampin up meeting I attended…..I’m going to share it here: Plan B…….. instead of putting water in the aqua pens, you add 91% alcohol and color as usual. Isn’t that a great idea? I tried it, and I love it! Here is the setup for alcohol coloring. 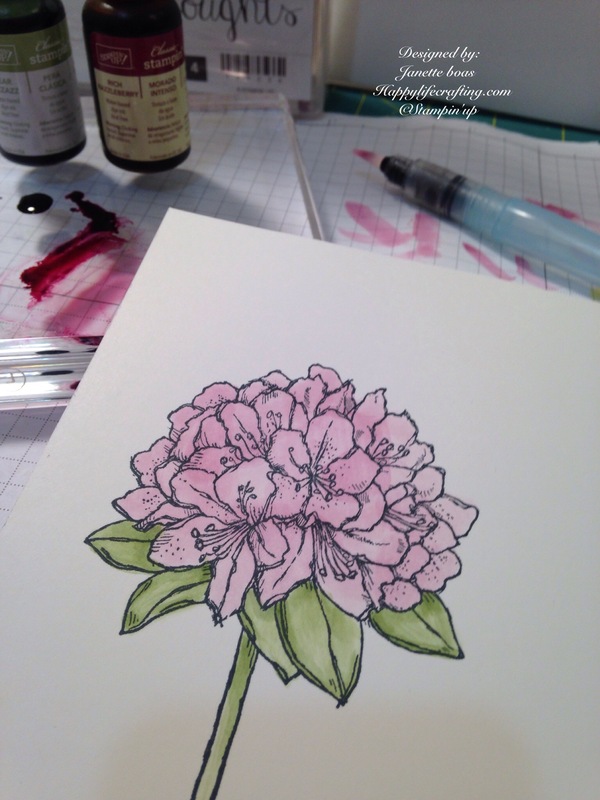 I used an acrylic stamping block as my paint palette, and selected two water based ink refill, colors that I liked. You only need a drop of each color. The more you dilute the ink with the alcohol the lighter the color will be. I suggest that you layer the colors and let the paper dry in between layers. You’ll want to highlight with more ink where the shadow areas are. You may need to practice on a couple images to get the hang of it. Have fun with it, and as my Son, Joseph always says, “anything you create is art”…..so there is no wrong way. Make it original. If you are wondering what ink I used to stamp the image, it was momento tuxedo black. It must be a non alcohol ink. 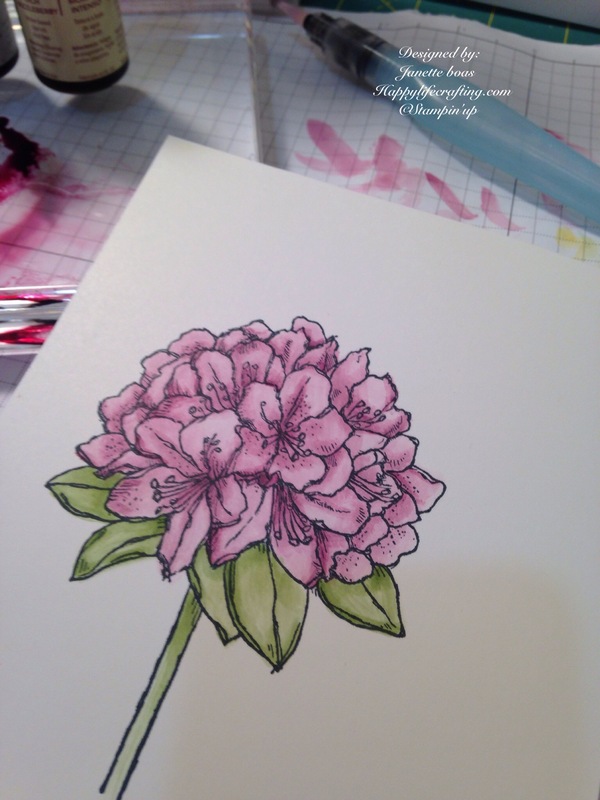 The paper I used is whisper white card stock from stampinup. It worked great. 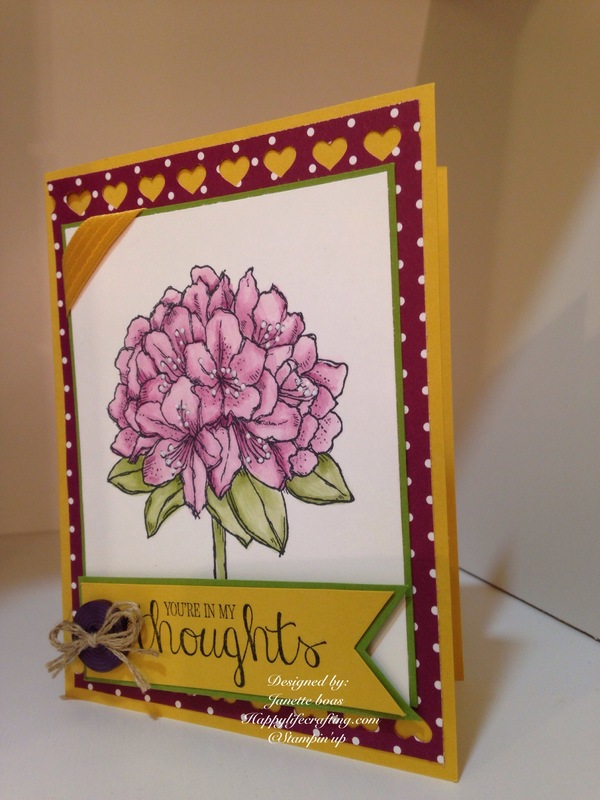 The image I used is from the “Best thoughts” stamp set which is the new hostess stamp set, being released on June 2nd. The flower is a hydrangea and it is stunning. In this image the colors are very light….now it’s time to add layers of color, to highlight. Here is another layer of color. 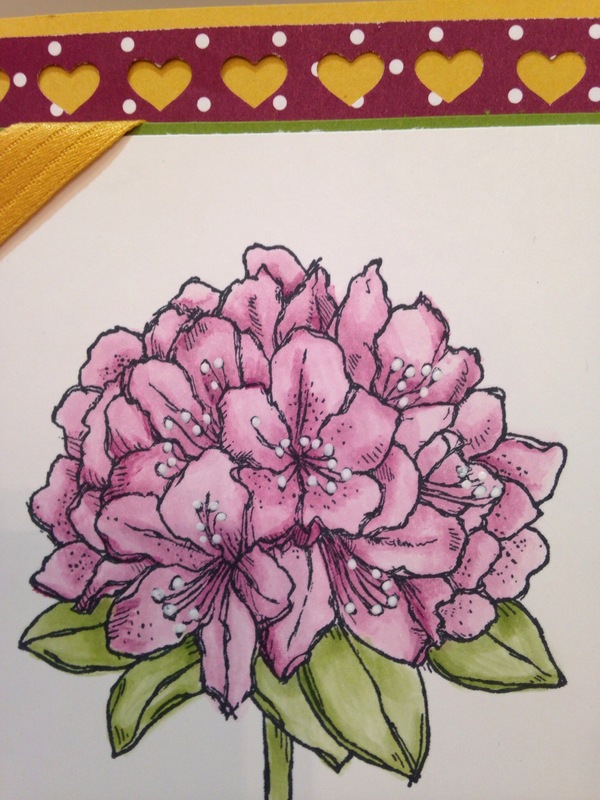 This is my finished hydrangea…..I added the white dots with a white uni-ball, signo, jell pen …which is also available through stampinup. This next image is the completed card. The rest of the materials to make this card are listed below the image. Cardstock colors: hello honey, old olive, and rich razzle berry designer series paper (DSP). The button is from the brights collection of designer buttons. The bow is linen thread. I used the heart border punch to create the top and bottom borders. One of the awesome things about Stampin up is that the materials are color coordinated. When people ask me ” where do I start? 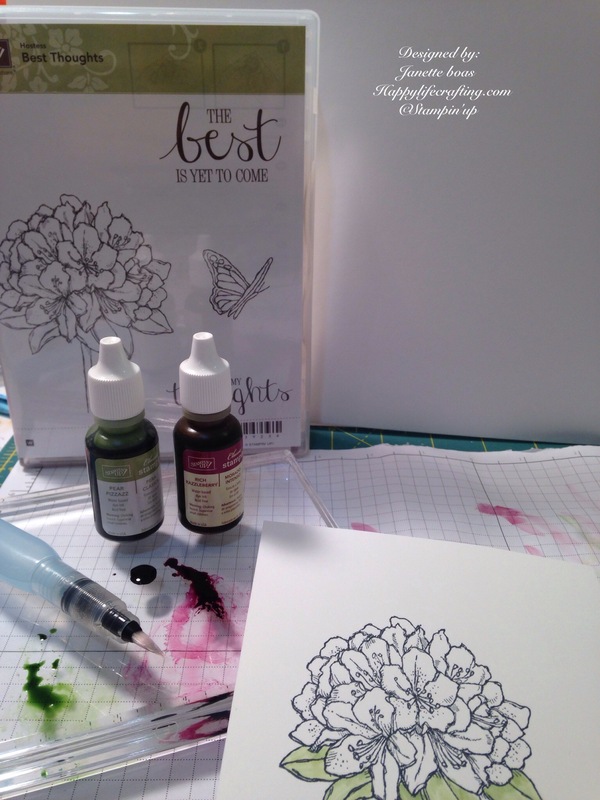 ” when it comes to buying Stampin up product, I always tell them to start with the season of colors that are happening now, and pick out a stamp set that works with that season. Slowly but surely, you will build your supplies and be able to to whip up cards for any occasion. Be happy… And have a happy life crafting.